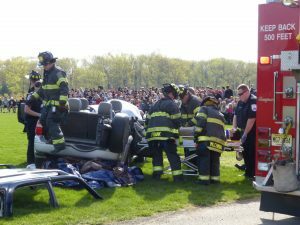 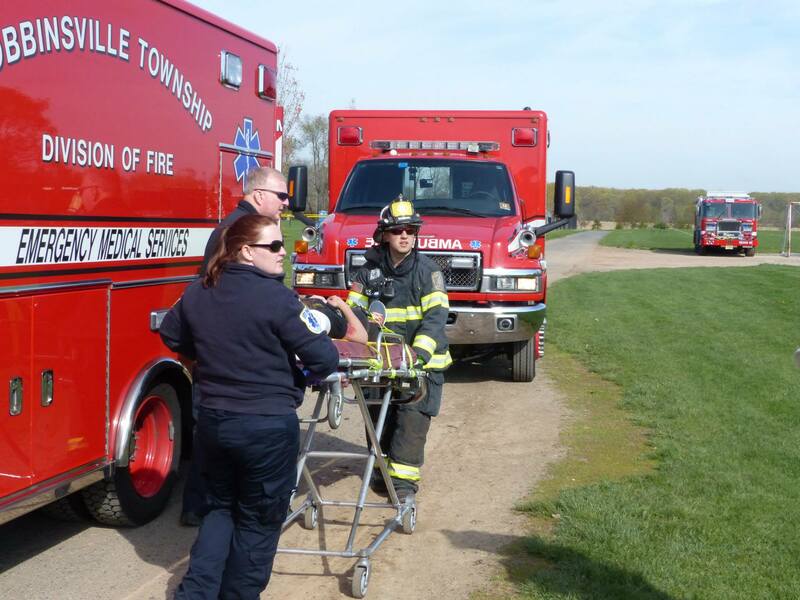 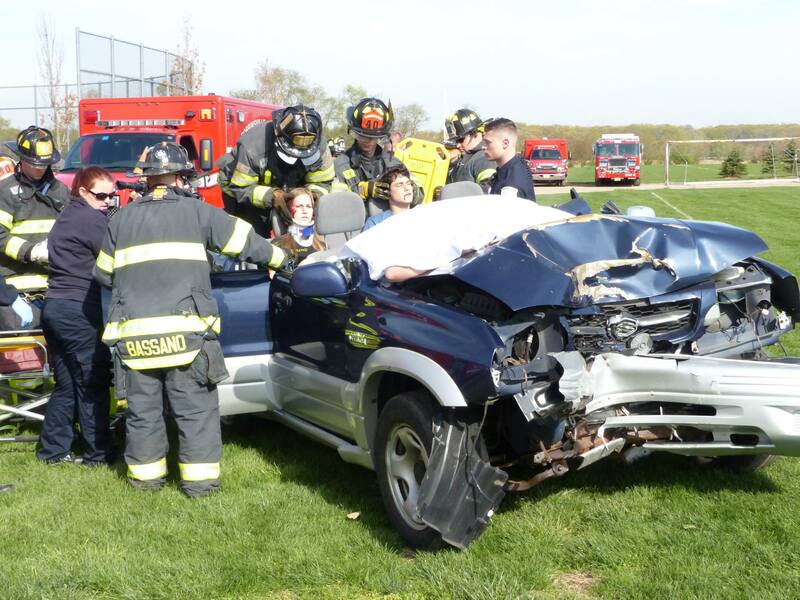 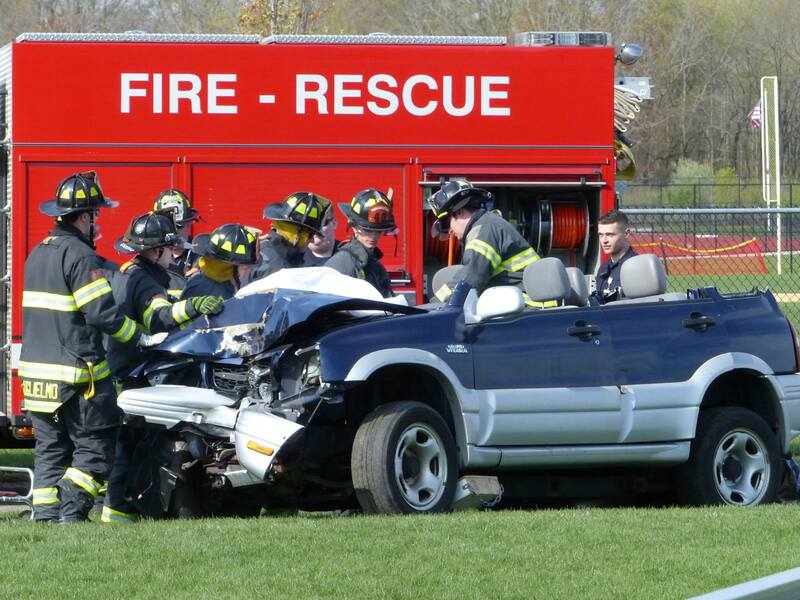 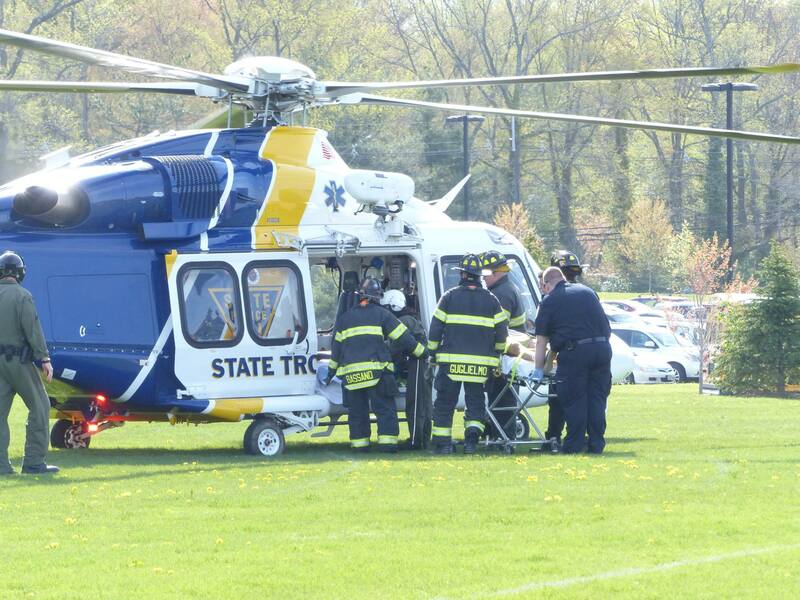 On Thursday April 30, 2015 The Robbinsville Township Fire Department participated in the 5th Annual High School Senior Saftey & Awareness Day also known as “Operation Smashed” at Robbinsville High School. 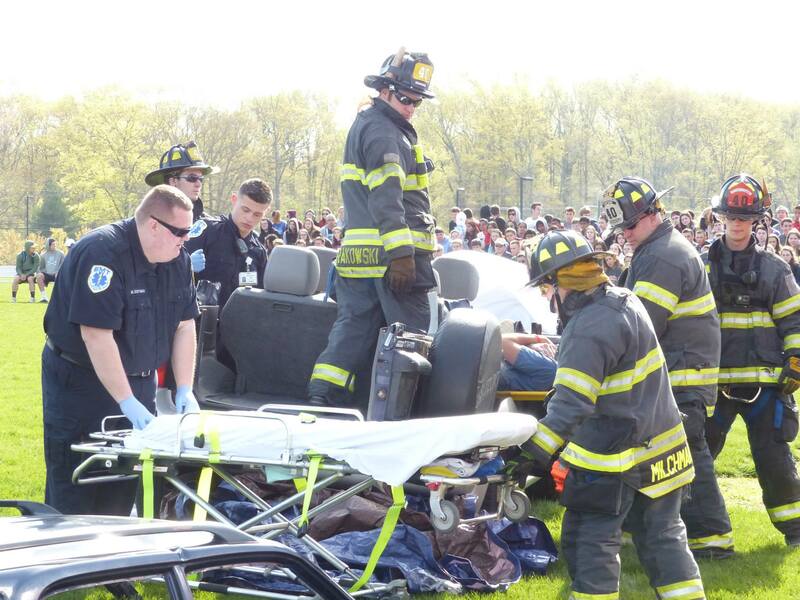 Members of the high school’s drama department acted as vicitms of a two car crash, members of the Robbinsville Fire Department cut the injured out of the vehicles using hydraulic tools. 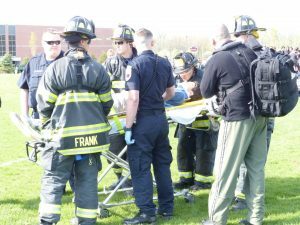 The injured were transfered to the ambulance or placed on a medical evacuation helicopter used by the New Jersey State Police. 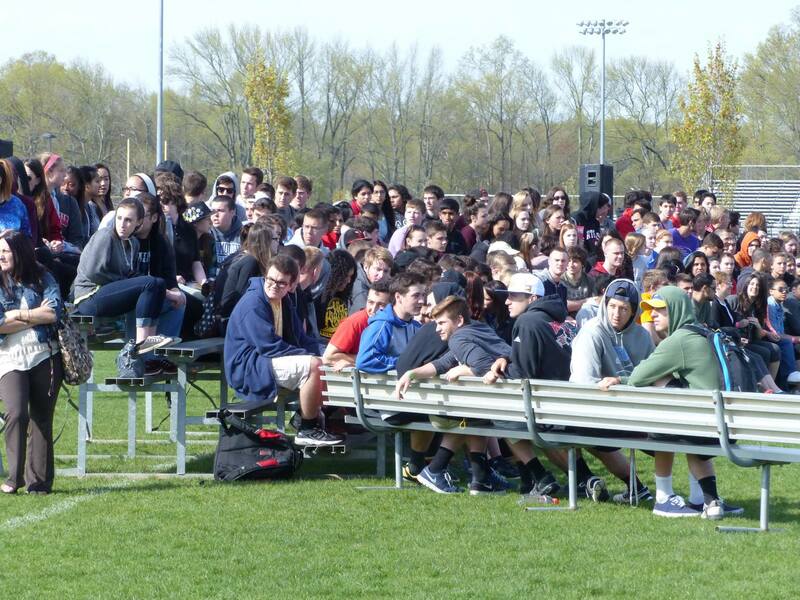 The Robbinsville Police Department conducted a field sobriety test and arrested the mock offenders. 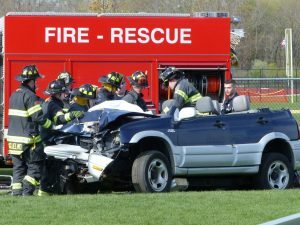 The fire department and the Mercer County Medical Examiner removed one vicitm from the staged crash to the morge. 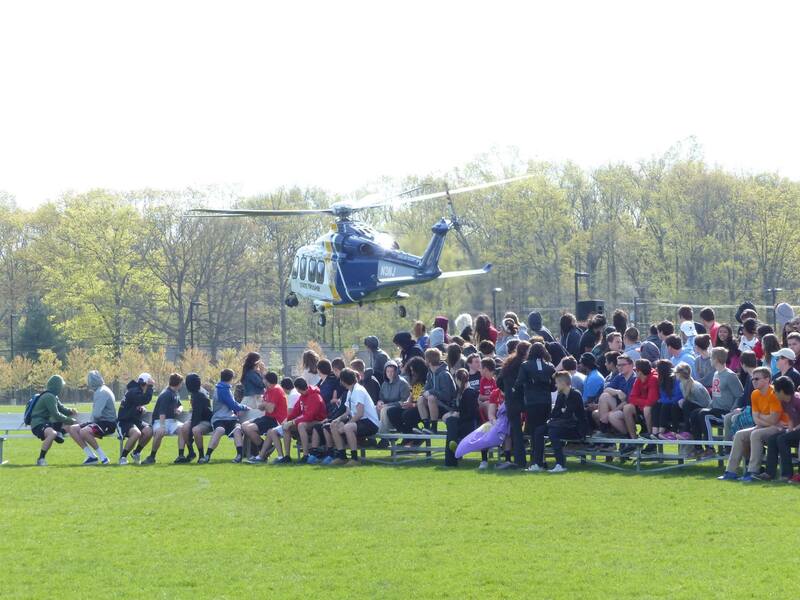 The high school seniors were able to observe and learn what could actually happen at a crash scene and the concequences during the “Operation Smashed” portion of the day. 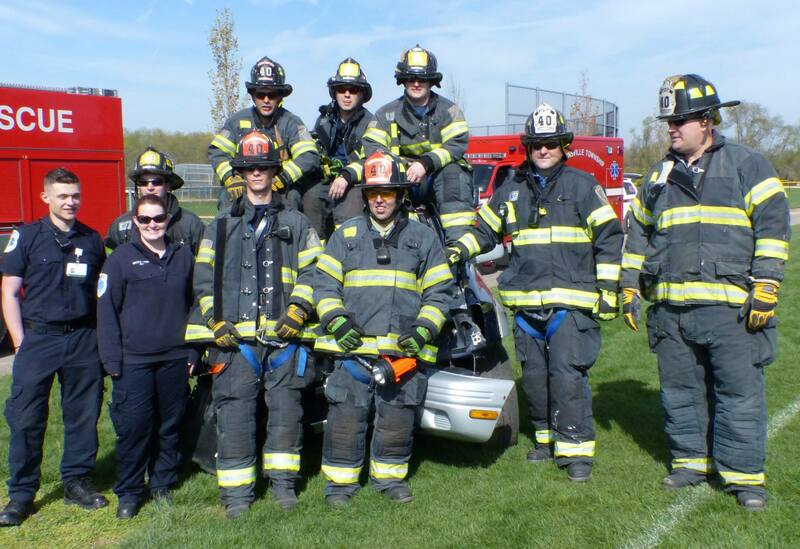 The Robbinsville Township Fire Department also provided all high school seniors with fire extinguisher training. 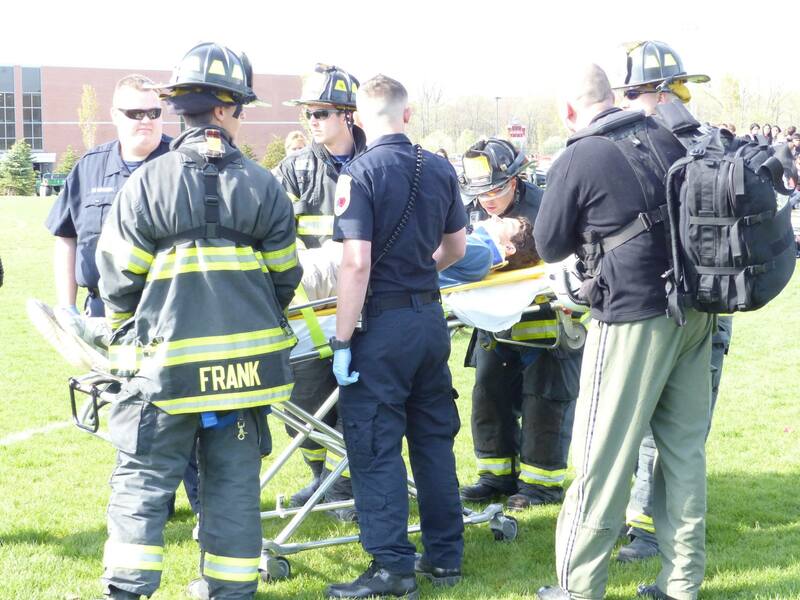 After a brief demonstration of how fire extinguishers work and saftey proceedures high school seniors had the oportunity to put out an actual fire staged in a parking area using a fire extinguisher. This was the 5th year of the annual event and it is held a week or two prior to the Robbinsville High School Prom.